Diolase 10 High-Intensity Laser Therapy – Douglas M. Freedman, M.D. This is a non-invasive, powerful Deep Tissue Laser Therapy treatment that is designed to relieve pain in muscles, nerves, ligaments, tendons, joints and scar tissue. This treatment is performed in our office by Dr. Dana Asher in our office and typical takes between 15-45 minutes. 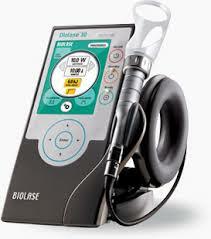 To learn more about Diolase 10 High Intensity Laser Therapy please click here. To also learn more, or to get scheduled, please contact our office.